Studies about the future of the Elwha River, which snakes up into Olympic National Park, have been going on for more than 20 years. Now that dam removal is about a year away, excitement is reaching new heights. 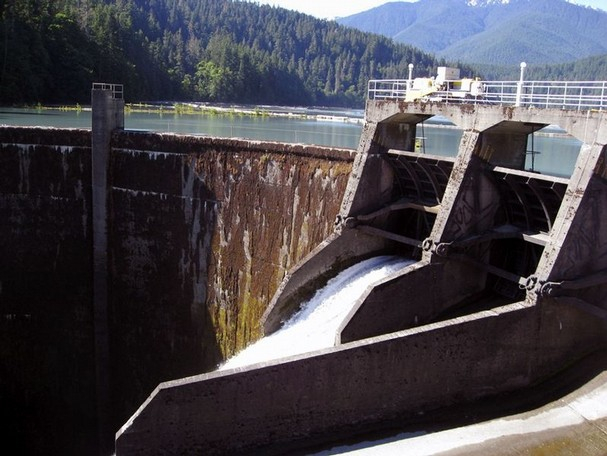 Glines Canyon Dam is the larger of the two dams to be removed on the Elwha River. I thought that this would be a good time to discuss the restoration of the river and reservoirs behind the two dams. How will the natural environment change? What kinds of plants will take over? And what will be the future of salmon and steelhead that have hung on in the lower river all these years? These are subjects I touched on in a series of articles published in Sunday’s Kitsap Sun. In one piece, I also mentioned the special cultural significance of the Elwha River to the Lower Elwha Klallam Tribe. What I did not cover in this reporting project was the old debate about whether the two dams should be removed. At $350 million, it’s an expensive project, and some people are convinced that it is not worthwhile. Costs of protecting water quality for the city of Port Angeles and replacing the power for the paper mill are part of the public expense. But these issues were decided long ago. My intention in these articles was to show what could be expected as the dams come down and the restoration moves into the key areas behind the reservoirs. Elwha Restoration: Where Will 400,000 Young Plants Find a Place to Live? Elwha Restoration: Will We See the Legendary 100-Pound Chinook? 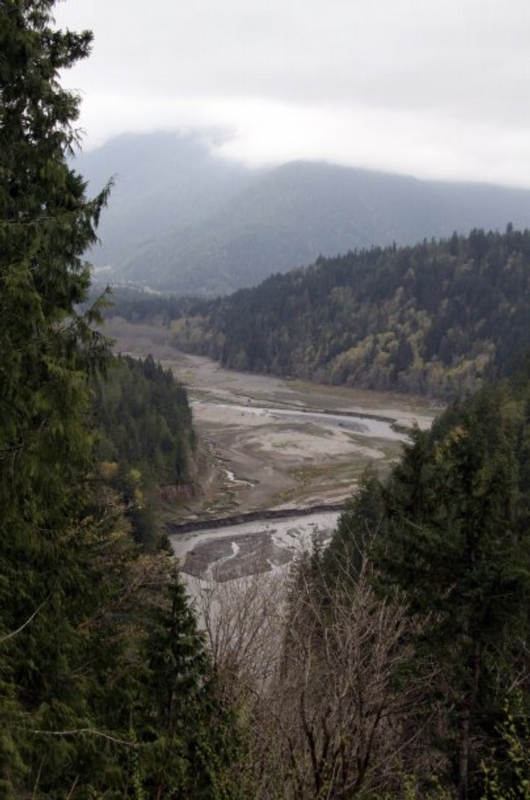 For general information with links to related studies, visit the Elwha Watershed Information Resource, developed by the University of Idaho through a cooperative agreement with the NOAA Coastal Services Center and in partnership with the Lower Elwha Klallam Tribe, Peninsula College and Western Washington University. Also check out the Elwha page on Olympic National Park’s website, where another page lists studies and other documents.